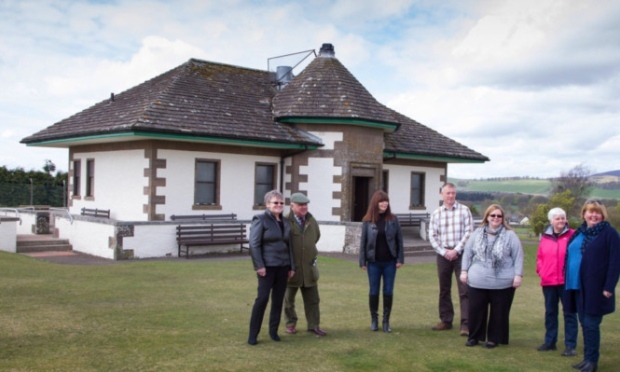 Kirriemuir Regeneration Group are a Community group who took over the management of Kirriemuir Camera Obscura as a visitor attraction in 2015 when it was threatened with closure. 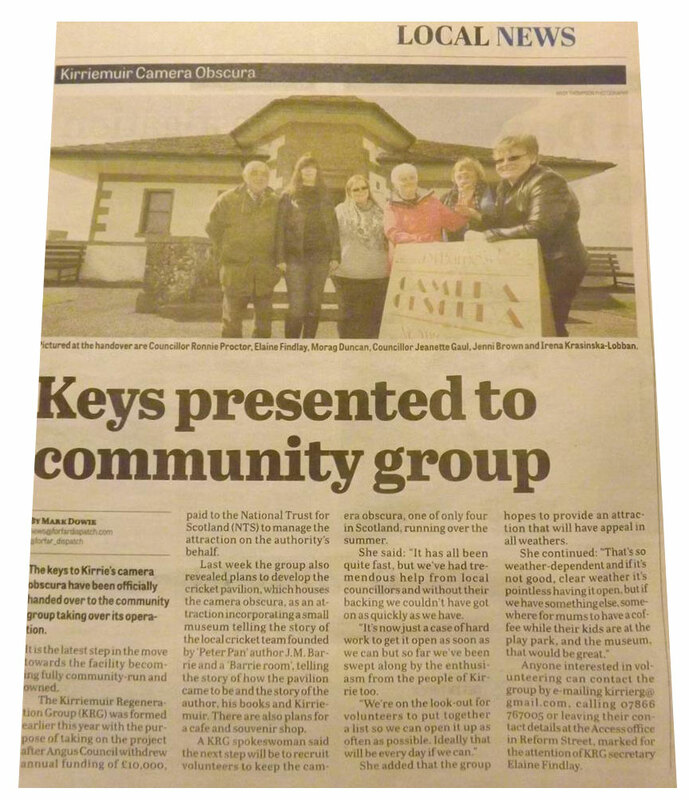 The Group's volunteers took possession of the keys to the Camera Obscura and the Pavilion on The Hill, gifted to the town in 1930 by Sir J M Barrie, just two months after it emerged the shutters were set to remain permanently down at the rare attraction. The closure threat came after the National Trust for Scotland withdrew from operation of this unique tourist attraction. Kirriemuir Regeneration Group was quickly formed in the wake of the news and worked swiftly to establish an agreement with the local authority to keep the attraction open. The volunteers have established 'Cafe Obscura' within the cricket pavilion to enhance the experience for visitors who climb into the viewing turret of the building to take in the panorama which can be seen via the Camera Obscura. The Camera Obscura is staffed by the volunteer members of Kirriemuir Regeneration Group who continue to strive to maintain and develop the attraction and host a variety of events throughout the year. The Group are very appreciative of the support given to them by the people of Kirriemuir, the local MSP and Councillors and Members of the Group support and assist at events in and around Kirriemuir.